Mumbai based hard rock band ‘The Echoes’ formally launched its debut album ‘Stiched‘ at the Hard Rock Cafe on 11th of March 2010. “The Album has 10 tracks and it is a theme album. It’s like a musical story about the various struggles that everyone faces when they set out to follow their dreams and be something. The journey has it’s ups and downs, practically sowing the outcome that stitches the garment of that individual’s life. 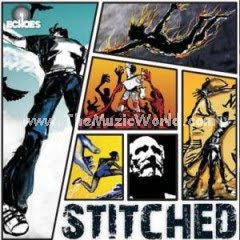 Hence the album is called, “Stitched.“ The Echoes comprises of Aidan Lewis on Lead Vocals, Soumitra Bhat on Guitars/Vocals, Shawn Pereira on Drums/Vocals, Abhishek Shah on Lead guitar/Vocals, Ishaan Krishna on Bass/Backing Vocals, and Saakshi Vyas on Keyboard. The album also features Vidhyadhar Bhave as guest ‘vocalists’ on the track ‘Living without You’ .The Echoes is signed by EMI/Virgin and the album ‘Stitched’ will be available at major music stores nationwide.